Keep your bedroom essentials within arms reach with the Legend Night Stand. Add a classy look to your bedroom with the simplicity of this beautifully designed compact nightstand. This nightstand not only provides extra storage but also uplifts the charm of your existing decor. The top of it can be used for keeping your water bottle, mobile phone as well as keeping books or magazines. 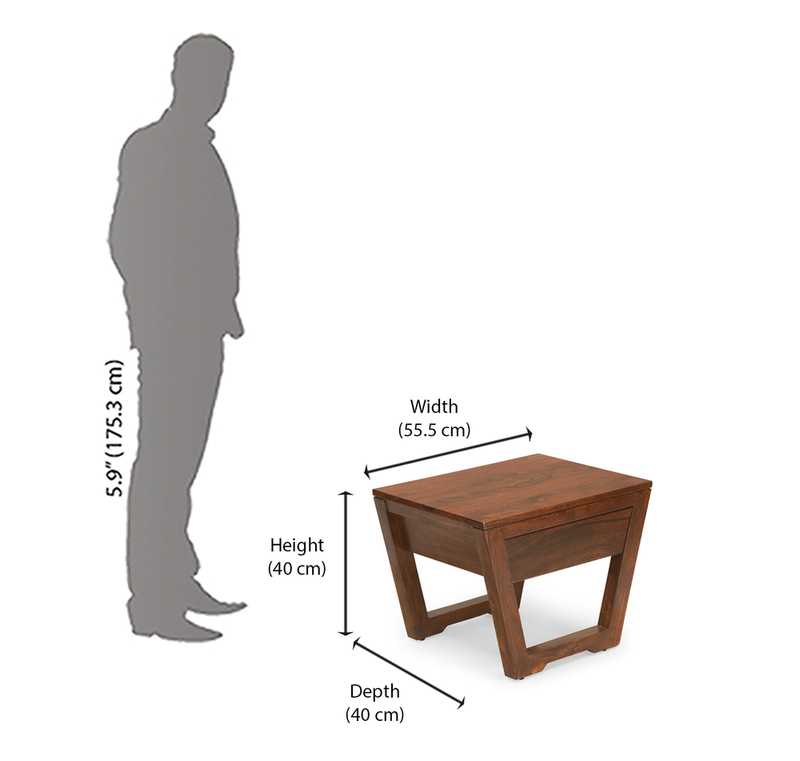 This nightstand is constructed with MDF and Solid Wood along with a sleek Melamine finish. The top surface can also be used to place a lamp on or use it to display a few accessories for added style. This is a complete package that can be added to your sleeping space to create an eye-catching appeal.